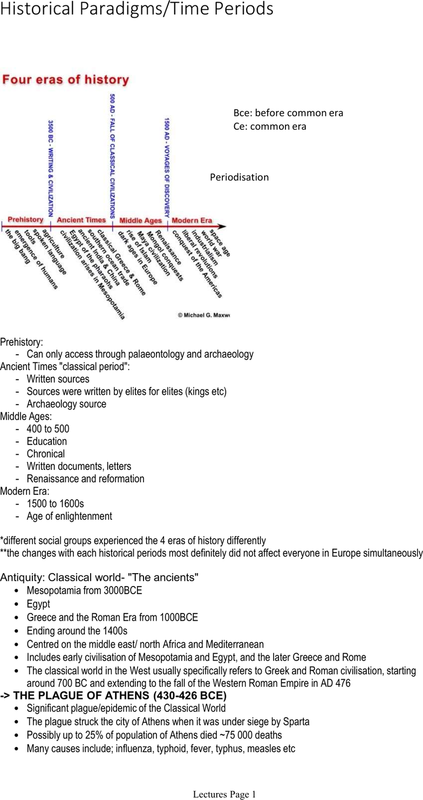 Sources were written by elites for elites (kings etc) *different social groups experienced the 4 eras of history differently. **the changes with each historical periods most definitely did not affect everyone in europe simultaneously. Centred on the middle east/ north africa and mediterranean. Includes early civilisation of mesopotamia and egypt, and the later greece and rome. The classical world in the west usually specifically refers to greek and roman civilisation, starting around 700 bc and extending to the fall of the western roman empire in ad 476. The plague struck the city of athens when it was under siege by sparta. Possibly up to 25% of population of athens died ~75 000 deaths. Many causes include; influenza, typhoid, fever, typhus, measles etc. **looking at the social and political change they endeavour. Fragmentations of western roman empire into various smaller political empires. New kingdoms founded on the ruins of the roman empire.